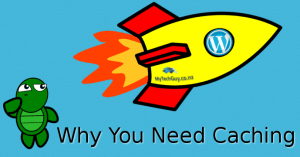 Many small businesses neglect their websites. And for good reason – it’s technical, it’s boring and it’s just not what you do for your core business. But don’t let that be an excuse to just ignore your site. Even if just 1 customer a month finds you because of that site, then it’s a valuable business asset that needs looking after. No website can ever be 100% secure. But you don’t have to be. Ever hear the story about 2 guys faced by a hungry lion? The first guy says “what shall we do, we’ll never outrun it!”. The second guy says, “I don’t need to outrun it, I only need to run faster than you”. Don’t be the one standing around wondering how sharp lions teeth are. Having someone else keep your site up to date greatly reduces the chances of your site getting hacked. By putting it ahead of all those much easier targets. If wrangling with software and websites is not your business, then don’t let it waste your time. Keep your valuable time for what makes you money. Let the experts do the wrangling! This is even more crucial than ever for small businesses. If you are the business, then you only have so many hours in a day to focus on what makes money. Software gets updated for 2 main reasons – to provide extra features, and to fix things. So updates are important. But blindly updating can cause more problems than it fixes. If it goes wrong just how do you fix it? 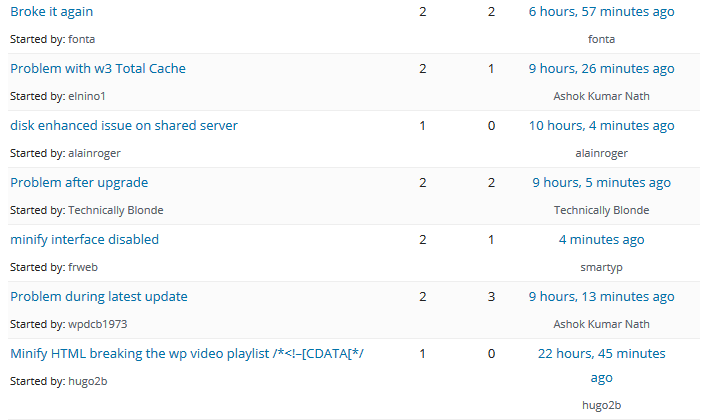 Just recently one of the most popular WordPress plugins was updated (W3 Total Cache). That update included many useful changes including a security fix. But unfortunately it caused major problems. Websites crashed, some displayed nothing but a white screen, others reported errors. Literally dozens and dozens of pleas for help hit the authors support forum within days. If you had blindly updated that plugin your site could have been down for days, while you waste time working out how to fix it. We were aware of the problem, and avoided applying that update. The next update was better, but has problems – we’re still waiting for a safe version to upgrade. For as little as $77 a month you can have an expert take care of keeping your site updated (and that includes the web hosting too!). How much is even one lost customer worth to your business? If your website is bringing in new customers every single week (as it should be) then you simply cannot afford to leave it to chance. So it’s not expensive, but it could be costly not to. And don’t forget you can most likely write it off as a tax deductible expense anyway. You don’t need to recruit someone. You don’t need to waste hours in meetings or on the phone wading through technical details. It can take as little as 5 minutes effort to simply hand the job over to an expert, and get back to running your business. We specialise in managing small business websites, and would love to take care of your site too. 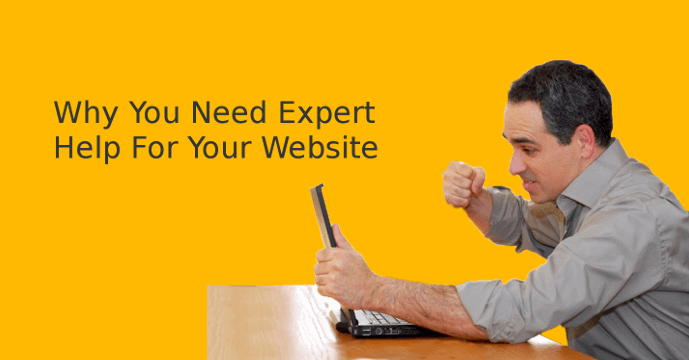 Just 5 minutes from now your ‘website headache’ could be a thing of the past. Proper web design is not cheap. It shouldn’t be either as building a good web site takes a whole range of skills and experience. It takes more than just good design skills – you also need to understand the customers buying cycle, sales funnels, analytics, SEO, split testing, email list building and a lot more besides. So having someone maintain, update, backup and look after that investment you made in designing and building the site just plain makes sense. It’s also great to have someone you can just flick an email to when you need things changed or a new product or service added.